If the weather doesn’t cooperate during your visit to Coronado and you are looking for rainy day activities, don’t despair. We’ve got lots of great ideas for a fun filled getaway. Forgot your umbrella? No problem. We've got you covered. Check with our front desk for a loaner! Just a few steps away from the Hotel Marisol is the Coronado Museum. You can browse the two permanent exhibits featuring our town’s historic photographs, art and ephemera. Additionally, the museum showcases an ever-changing Special Exhibit. 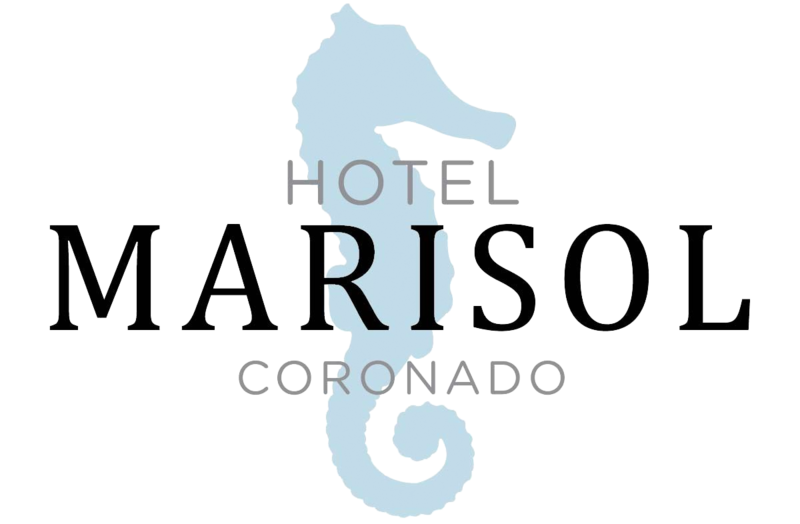 While you are visiting the Coronado Museum, stop at the Visitor Center desk and purchase tickets for the Coronado Historical Association docent-led indoor tour of the Hotel del Coronado. The tour is offered most days and lasts 90 minutes. After your tour, you might stroll through the hotel’s indoor clothing, jewelry, and specialty shops. Just two blocks from the Hotel Marisol you can catch first run movies at the Coronado Village Theatre (including daily matinees). We’re proud that our vintage movie theater was recently recognized by USA Today as one of the country’s “majestic movie palaces”. Arrive early and enjoy the hand painted murals of San Diego and Coronado scenes. Rain or shine, we recommend that everyone get on board the Old Town Trolley Tour. You can spend the day viewing over 100 points of interest plus eleven popular tourist spots in San Diego and Coronado. This “hop-on and hop-off” tour gives you lots of flexibility to visit the destinations of your choice. We recommend getting off in Balboa Park to visit one or more of the 17 cultural institutions like the Museum of Art, the National History Museum, and the Air and Space Museum. Another extremely popular tourist attraction is the USS Midway Museum. This retired aircraft carrier is a stop on the Old Town Trolley Tour, or you can easily reach it via car or taxi, less than six miles away from the Hotel Marisol. Plan to spend up to four hours touring the huge ship, most of which is indoors (and out of the rain).